Costa Navarino is the new prime destination in the Mediterranean. The Romanos, A Luxury Collection Resort, located on the world-class 130-hectare Navarino Dunes site is set amid lush olive groves and crystalline waters having as a backdrop the splendor of the deep blue Ionian Sea. Enjoy a truly authentic experience and discover the natural beauty, culture and age-long heritage that span the millennia, all this and more within the region of Messinia, Greece. Unwind in any of our 321 exceptional rooms overlooking the sea, landscaped gardens and infinity pools. The Romanos features extensive grounds with indigenous trees and plants, a perfect location to enjoy unrivaled relaxation. Spacious terraces, marble exteriors together with contemporary and refined interiors make The Romanos a natural choice in order to experience the authenticity of the surrounding environment. The Resort incorporates a 4,000 m² “Anazoe” Spa and Thalassotherapy Center to rejuvenate your body and mind, using Ancient Greek practices, including Oleotherapy® featuring unique therapeutic olive-oil treatments. 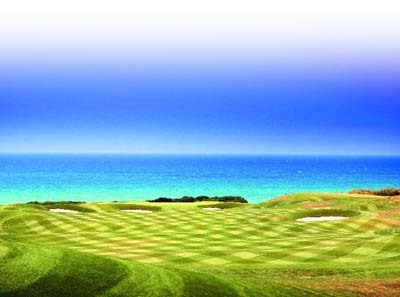 The Navarino Dunes Golf Course, designed by Bernhard Langer and managed by Troon Golf is the first 18 hole signature golf course in Greece, and offers spectacular sea and hillside views. The 3,500 m² Dunes Club House offers amongst its facilities a stand-alone golf academy, pro shop, restaurant and bar facilities all of which extend onto spacious terraces. This majestic resort also offers a variety of indoor and outdoor sports facilities for all ages and interests, extensive children’s facilities, unique in nature, with the “Cocoon” care center and the “SandCastle”. Experience a unique epicurean taste through special dining venues which enjoy a hint of local traditional flavours, whether it is within our International Buffet, Italian, Moroccan or Greek restaurants. Relax and enjoy extensive open air lounge areas and chill-out bars located throughout the resort. The state-of-the-art “House of Events”, our multi-functional and highly versatile conference, convention and event center, extends over a total area of more than 5,000 m² and will accommodate up to 2,000 guests with both style and grace.